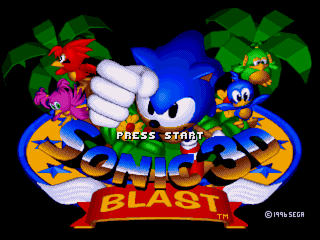 This is a hack for Sonic 3D Blast on the Sega Genesis. It gives Sonic the ability to transform into Super Sonic, a super powered version of himself. As in other Sonic titles this is done by acquiring all 7 Chaos Emeralds, getting 50 or more rings then pressing jump during a jump. Rings decrease automatically while in this form. The transformation cannot be done while using a shield but the shield can still be collected after using the transformation is complete. Sonic is mostly invincible while in Super form but can still be killed by objects that crush him and the electric walls in Gene Gadget zone. 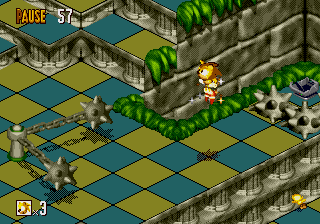 This hack is based on the Sonic 3D: No Flickies hack which means it has the same features and flaws of that hack. The patch is in xdelta format due to shifted data resulting in IPS patches that sometimes contain original game code. The ROM should be in BIN format.